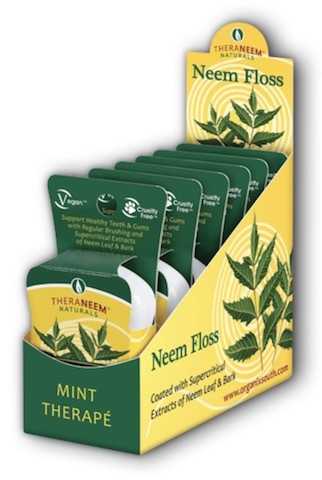 If you want your teeth to gleam, floss with Neem! Neem has been traditionally used in Ayurveda for oral health care. Commonly known in India as the Toothbrush Tree, Neem twigs are frequently used to clean the teeth. Modern science has validated the traditional uses of Neem supporting healthy gums, and on-going research confirms its efficacy. This regimen, along with internal supplementation with TheraNeem® Supercritical Extract of Neem Leaf Capsules and regular dentist visits, will help keep your teeth gleaming!